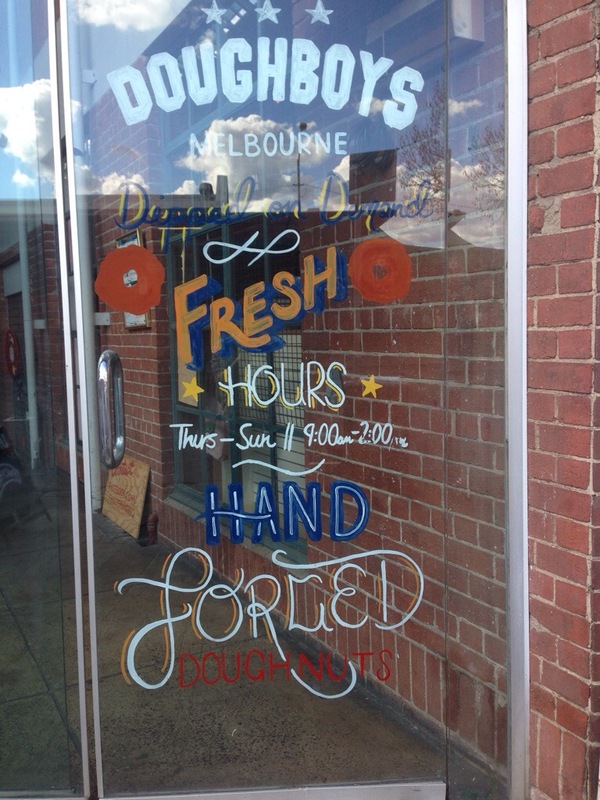 For those Perthians who have been to Melbourne you’ll know that when you’re there you’ll be having doughnuts. We are so obsessed with them that we even bring them home on the plane for our friends and family. Most of the time it’s Krispy kremes, and I say this as someone who has eaten their fair share of them. This trip though we decided to go for something a little more gourmet and made a visit to Doughboys near the Queen Victoria markets. You’ll find them up the stairs and past the BBQ joint. They’re only open Thursday – Sunday and we were lucky to get there before they ran out and closed up for the day. 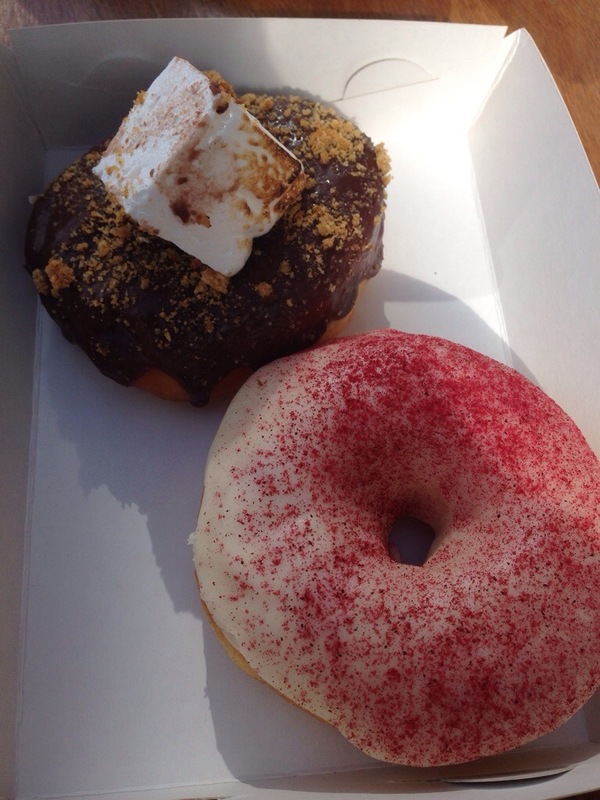 We first tried the ‘Pink Snow’ and ‘Smores’ doughnuts. The s’mores was a chocolate ganache overload, the sweet indulgence over a soft, delicious centre. The Pink Snow doughnut seemed to be a freeze dried berry over a glaze and just had a nice bite of flavour to it. 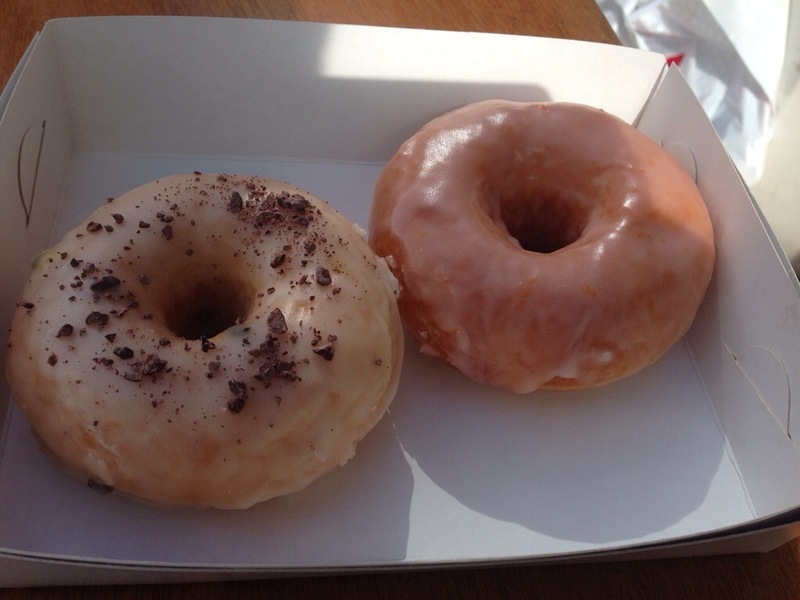 We’ve never seen these flavours on doughnuts before, and we really liked them. We ended up going back for seconds, this time trying a passion fruit doughnut and a blood orange one. We loved the citrus base, that nice tartness with a sweet glaze or with cacao nibs in the case of the passion fruit. The doughnuts were equally delicious inside. 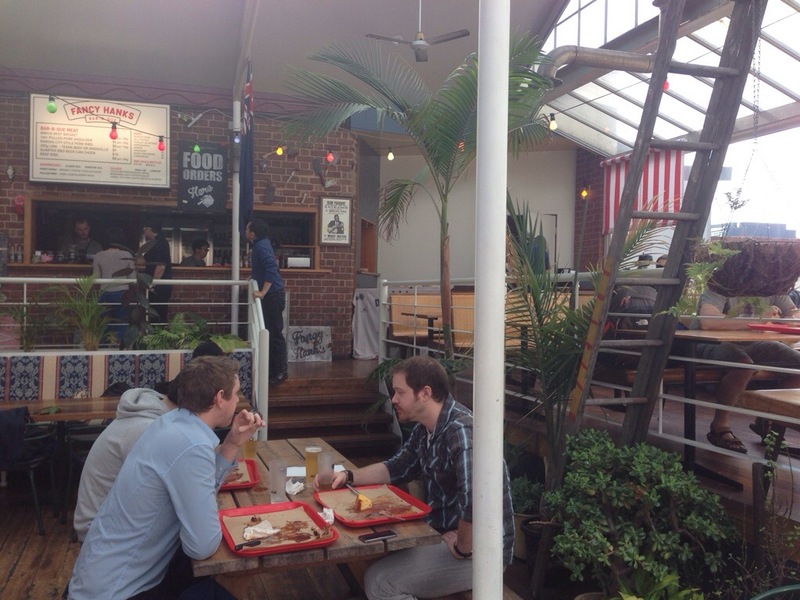 The BBQ place outside looked great too and the atmosphere was just so relaxing it would be a perfect spot to spend the afternoon. Next trip we’ll know it’s there. 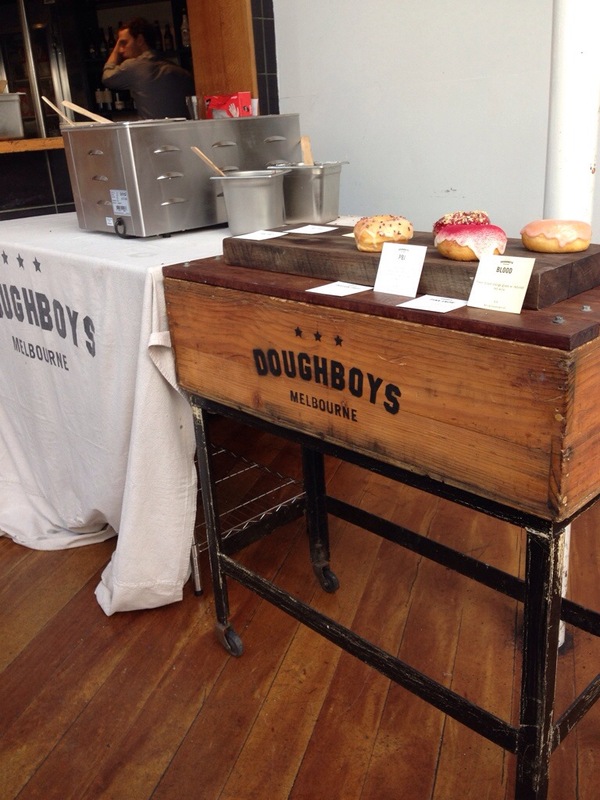 Doughboys do indeed make delicious, gourmet doughnuts and we will be telling all of Perth that there’s a new donut in town!